This morning at 4 am, Justin Bieber was arrested for road racing a rented yellow Lamborghini in Miami. He admitted to drinking, smoking weed and some prescriptions pills. Is he looking for street cred? Or is he, as Xtrology, predicted completely out-of-control and in jeopardy of losing his career. 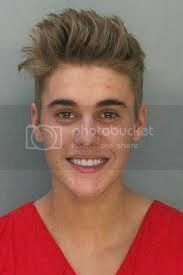 Sharon Osbourne said on “The View” today that when you make “fluffy, disposable music,” you may end up beside another teen idol, Leif Garrett, currently living under a bridge — where there is a place waiting for Justin. Funny or true? My opinion? This young man is in trouble. He needs to take his life seriously. When you have predictive Mars sitting on your natal Sun — there’s nothing more difficult than your ego (the Sun) getting attacked (Mars). You must retreat, revamp and re-evaluate your life. Take stock of your accomplishments and what they mean to you — and how your soul will make progress in the future. It’s fun to be rich and spend money and be popular blah, blah, blah. But it gets old. There’s no substance.